Semi-rigid acrylic backing plate to provide a perfectly flat and level sanding surface. The Variable Flexibility from the composite backing plate allows for the perfect amount of flex. 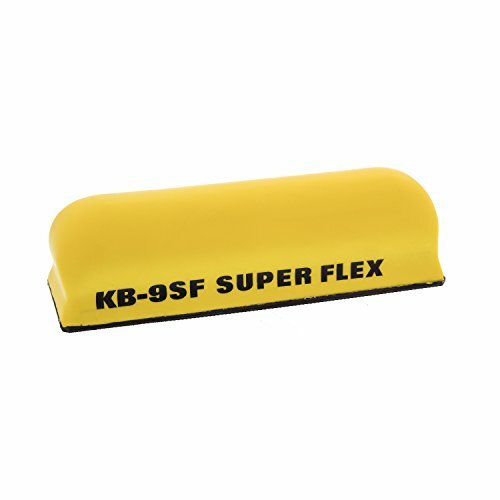 The Soft Grip portion of the Block is made of Lightweight, Durable Comfort Grip High Density Foam. The sander pad uses standard size adhesive PSA long board sheets or continuous roll PSA sand paper. The Soft Grip top portion of the Block is made of Lightweight, Durable Comfort Grip.